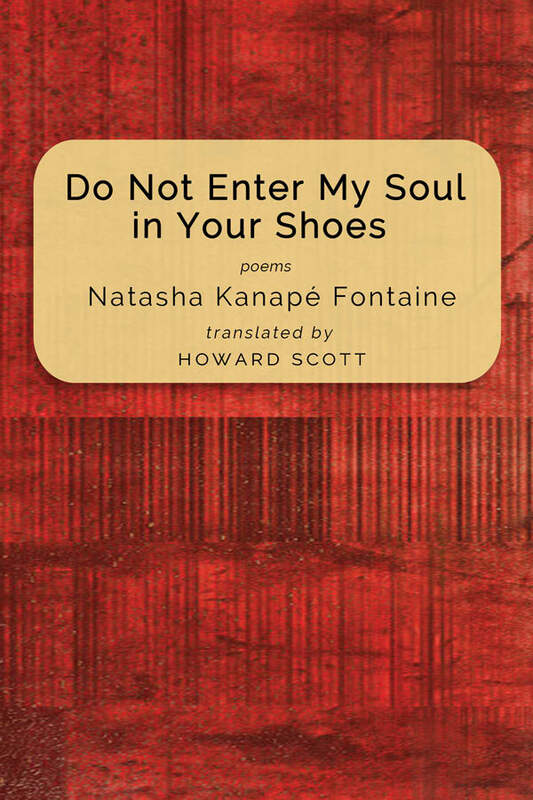 Do not enter my soul in your shoes is a poetry collection of great sensitivity. Above all it is a cry from the heart, as if empathy and poetry were dazzled by the eruption of a volcano. Natasha Kanapé Fontaine reveals herself as a poet and Innu woman. She loves. She weeps. She shouts… to come into the world, again. The book is first of all a journey deep inside the self, with joy and love, taking the body on a path to expectation and ecstasy, a quest sustained by incisive, inventive writing, which can leap from impressions of nature to references to a Dali painting. The energy of the images and the power of this luminous, concise language amaze us. Natasha Kanapé Fontaine, born in 1991, is a slam poet, visual artist and indigenous rights activist. Innu of Pessamit community of the North Shore, she spent most of her life in urban areas, as did many other Aboriginal youth of her generation. Noticed first in Rimouski where she was studying, and at events in Montreal in spring 2012, Natasha Kanapé Fontaine is prominent on the provincial slam scene — she’s been dubbed the territorial slammer. The original French title, from which this current title is translated into English, earned her the prize for poetry of the Society of Francophone Writers of America, 2013. She figures on Radio-Canada’s Plus on est de fou, plus on lit! list of ten young writers to watch. With an enduring commitment to the Idle No More movement, Natasha Kanapé Fontaine is part of the new generation of a people rising from the ashes, and who intends to take the place she deserves. She lives in Montreal.